Garrett Smith is a patent attorney who focuses his practice in patent procurement and intellectual property counseling. Garrett has filed hundreds of patent applications and responses before the United States Patent and Trademark Office and successfully attains numerous patents for his clients. Garrett’s experience spans various fields of technology including mechanical devices, power systems, software, semiconductor technology, electrical signal components, various material-based technologies and medical devices. Most recently, Garrett spent the majority of his time working on various patent matters for a world-leading consumer electronic device corporation. Garrett also manages intellectual property portfolios and develops business-based intellectual property plans and strategies for clients. Specifically, Garrett helps clients with patent portfolio acquisitions and mergers, licensing agreements, freedom to operate and validity opinions, patent searching and analysis, and trademark procurement. Additionally, Garrett provides support on patent-related litigation and arbitration. 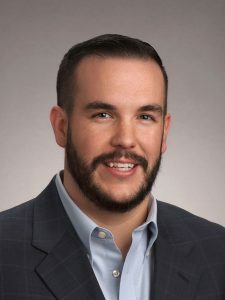 Garrett was an Associate with Hoffman Warnick following law school, and recently returned to the firm after a period as an Associate with a patent boutique in Denver, Colorado. Garrett works tirelessly to provide the best intellectual property services to his clients and thrives in the challenges faced with each new intellectual property matter he works on.